e.l.f Brow Kits create brows that are fuller, thicker, and more defined! This set is CONSTANTLY sold out when I go to rebuy it. It’s amazing. So cheap but so effective, I’m no brow queen and only do them every so often so this works well for me,giving me a made up look when required. Doesn’t rub offf, is a nice shade and is easy to apply. You could up the ante with your own brush but the one supplied does the job fine. Would recommend to someone needing there first brow kit. This brow kit is so good. I cant usually do my brows because i cant shape them but the tool that comes with it makes it so easily to shape. I am really happy with the shade and use it everyday. I recommend IT. I bought this from Beauty Bliss for $10 couple of years ago, as I was looking for a good brow kit for cheap to fix my brow mistake I had done while reshaping them and I’ve read many great reviews on this kit. I bought the kit in dark to match my black brows. There is a deep brown gel and more of an ashy brown powder in the kit. It also has a cute two-sided brush for application. The gel is highly pigmented and thick, I used the thin angled side of the brush to outline my brows and used the thicker part of the brush to fill in my brows with the powder. I already have naturally thick brows, so filling it in with the powder just made it look like I had two furry caterpillars as brows. I loved the gel though, because it looked more natural when I outlined my brows and people couldn’t even notice the mistake I had done with my natural brows. I wouldn’t buy the kit again, but if it was available as just the gel I would and definitely if it was as cheap as this kit. 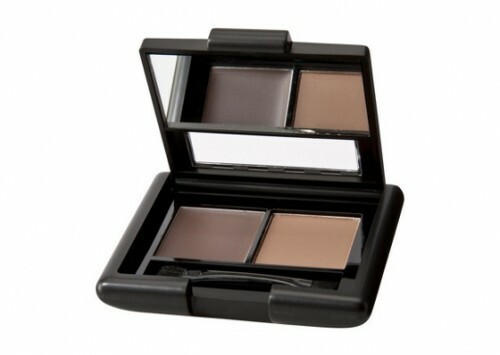 The kit is perfect for those who have thin brows, so both the gel and powder would be useful to them. Tips: A little goes a long way with the gel, start of with a small amount and build it up. This was the first brow kit I used, and was great for the little eyebrow experience I had! I did not like the brow gel, it wasn't a great consistency and didn't apply well, but I found the powder alone worked great at defining my eye brows which was all I wanted to achieve. Tips: I would recommend buying a new eyebrow brush to use rather than the one supplied. I read all these fabulous reviews had to give this brow kit a go. I’m obsessed with doing my brows at the moment . I still haven’t quite mastered it yet . This kit comes in a a two pan small compact . The package if is basic but clear . Comes with a small applicator brush . I didn’t find this brush useful . The consistency of this is bold in colour . Application it seems to blend into my eye brows nicely . I chose this deep brown shade which matches my brows perfectly. Overall it did the job ok . It didn’t last a full day . It began to fade out as the day goes on . I don’t have time to reapply my make up . I can’t see myself purchasing this again in the future . I was excited when unwrapping this tiny compactum. It was easy to apply and looked natural. I was able to define my brow ,thereby etching in the most creative and latest style and with the influence brush was able to create the perfect shade without it looking artificial. Tips: Highly recommended and with a all over setting face spray, there is no need for re-applying. The only brow product you'll need! The combination of the highly pigmented gel and a complementing finishing powder allows me to create fuller, more defined brows while maintaining that natural look & feel that I love. Included in this eyebrow kit is a double sided brush. 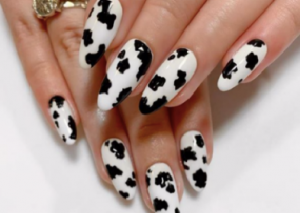 This brush is the perfect tool to use when wanting to achieve this look. On one end is a slanted/angled brush which is designed to be used in conjunction with the pigmented brow gel to help draw crisp & precise lines, adding definition to the arches of the brows as well as providing a strong hold, keeping the brows in place. The other end contains a blending brush. When used with the complementing setting powder, brows appear to be fuller & well blended with a beautiful, natural finish to them. I would highly recommend this kit to anyone wanting to correct or enhance the shape of their eyebrows with a product that provides long-lasting colour definition and a finished look that is naturally beautiful. I am a huge fan of this product and have been using it to define & enhance my brows for about 4years now. The compact packaging contains a small mirror on the inside which means I can easily pop it in my handbag & rest assured I have everything on hand incase any quick touchups are required throughout the day. Tips: STEP 1: Using the angled brush & the brow gel, create precise lines to outline the arches of each brow & then start filling in the brows, blending where needed. STEP 2: Gather some of the brow powder onto the blending brush and begin to lightly dust this over the entire brow. This will help to fill in any gaps, set the makeup and leave a natural, matte finish. This is an AWESOME little product! Easy to use, stays where you put it, and it looks super natural. I have recommended it to everyone! Great price too!! This is a great little kit for anyone wanting to up their eyebrow game for the first time. I fits easily into one hand, has a wee mirror and I love the rubberised feel of the compact. The little brush that comes with it though is way too fiddly to use so I ended up using my own full sized brush instead. I would only persevere with this when travelling to save me carting extra brushes with me. This is easy to use by applying the solid gel first and then the powder. I got this in medium and it matched my dark brows well. The compact also lasts a long time - I found I used up the gel faster than the powder. I've now moved on to a pencil and spoolie combination but I have kept this as a back up. This is cheap as chips (especially as I bought mine off iherb) so it's worth giving a go if you fancy using this. The product is cheap, comes with two products (eyebrow wax and setting powder) and small brush which is very useful and does the job so you don't have to buy a better brow brush. The colour is great, it suits me well and the wax is easy to use. It's great for a beginner starting out with makeup or for someone on a budget.